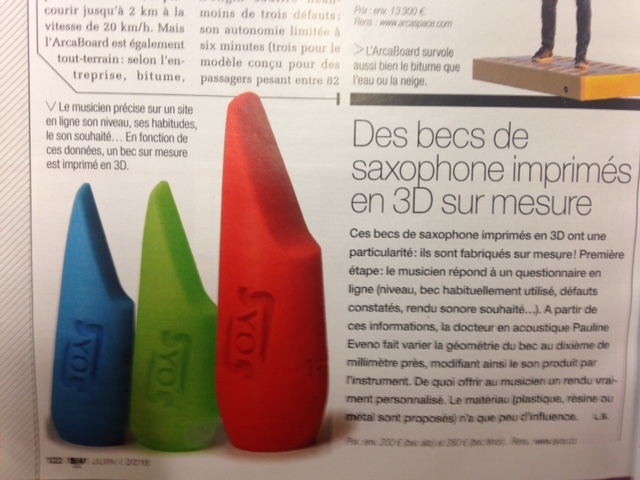 The sound of your saxophone is determined by the mouthpiece acoustics. Crafting its internal geometry, we are able to predict your sound, and then to shape it as you wish. The search of your sound aesthetics is our most important goal at Syos. As long as you desire it, we adjust the shape of your mouthpiece, working at 1/100th millimeter. A custom saxophone mouthpiece means more freedom for you. Crafted with a unique design approach, our mouthpieces are easier to play, more precise and homogenous, whatever your desired timbre is. Come and test them! For all saxophone players, professional or simply amateur like me, looking for your own sound is like searching for the Holy Grail! But now, I think I found what I was looking for thanks to Syos! We create custom mouthpieces for all saxophonists, from the amateur to the pro, with a lot of love and passion. Custom mouthpieces, how is that even possible? How can you be sure that the mouthpiece will suit me? 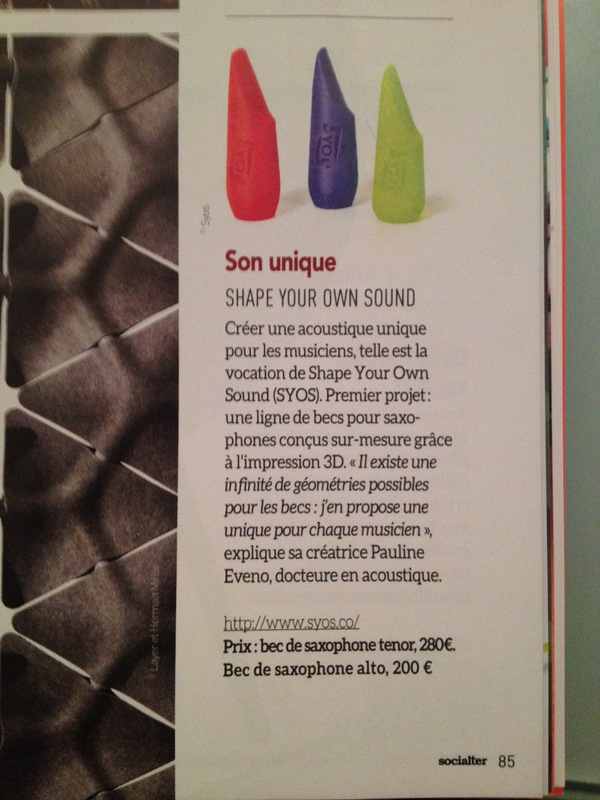 When you order a Syos mouthpiece, we use your answers from the questionnaire to calculate the most appropriate geometry. You receive the mouthpiece and you can test it at home, in rehearsal, in concert… You can give us feedback that allows us to improve the mouthpiece if needed; to make it even more perfect. You’ll receive then a second version of the mouthpiece that you can test, etc… Last but not least, you’ll be followed by one of our acoustician experts during all the process! I’d like to test it before buying it. Where can I do that? When you order a mouthpiece, you have 15 days to try it at home and you can send it back if it doesn’t suit you. 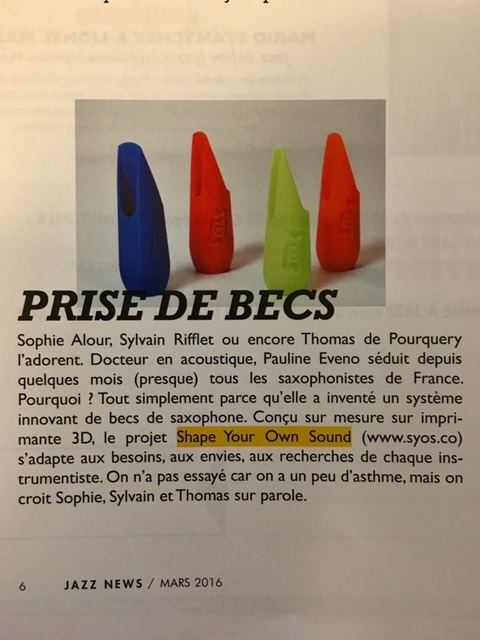 You can also discover Syos mouthpieces in our studio in Paris : book an appointment with Thomas to discover more than 1000 different mouthpieces and better understand the influence of geometry on the sound. In 2018, Syos mouthpieces will be available in several places in Europe : subscribe to our newsletter to be informed of all our news.